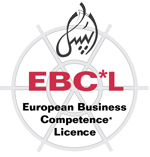 EBC*L Arab World built strategic partnership with well-known European companies, which fulfill an important role in their own sector. Among our strategic partners are International Qualification and Certification (IQ+C) Vienna, Skills Center Arab World, TÜV Austria, Austrian Standard Plus and Medigrads. For the past 29 years, the multiple international award winner The Skills Group has been among Austria’s leading and most awarded PR agencies. The Skills Group was the first European agency, which established a unit dedicated to the Arab World “Skills Center Arab World” under the leadership of Dr. Mohamed-Ali Ibrahim. The Skills Group is able to offer high-level professional expert groups as an Affiliate of the worldwide Fleishman-Hillard PR network, which in turn provides us with direct access to PR specialists from over 80 countries. The Agency gathered many decades of working experience in several key industries, collaborating with national and international clients from Europe and the Arab World, including the CEE area. The management of The Skills Group specialized in the field of technology, finance, healthcare, consumer brands, public institutions, tourism and energy. The Skills Academy was founded in 2011 as an international training and education unit of the Austrian-based communications agency The Skills Group. The consulting services of Skills Academy are focused on decision makers in universities, companies, public institutions, NGOs and media organizations in Europe and the Arab world. IQ+C Training and Certification Centers offer a unique and high-level Consultation, Qualification Training and exclusive certification programs, in co-operation with accredited international partners. IQ+C Vienna deliver complete services against ISO standards and also related consultation, training and certification services as preparation for accreditation. During the past years, IQ+C Vienna conducted about 200 international audits in small and medium enterprises (SMEs), governmental organizations as well as large private corporations in Austria, Germany, Macedonia, Turkey and dozens of Arabic countries. Medigrads is a German based, MENA focused, strategy consultancy helping Western organizations target Arabic speaking audiences. From the development of market entry strategies to the implemetation of culturally compatible web platforms, the company’s core competency lies in bridging culture and communication barriers in virtual environments.